Automatic very compact ULMA’s traysealing machine for all kind of preformed regular trays. Can make modified atmosphere (MAP) and vacuum packing. Tray transport system with rollers. Medium production performance. 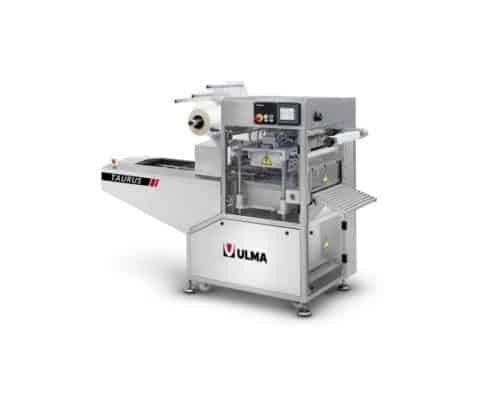 New tray sealing TAURUS 300 machine for food product packaging in previously formed trays. Base in a conveyor with rod bars to center and push the trays. Machine thought for customers that need to give their first step to the total automatic machine to get higher production. Thought to work with a wide range of tray shapes.